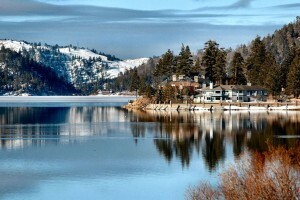 Big Bear is a four season resort community nestled in the Southern California Mountains of San Bernardino at an altitude of 7000 ft. Boasting a beautiful 7 mile long freshwater lake where you can boat, fish, canoe, kayak, tour, paddleboard, waterski, wakeboard, swim and play! We enjoy over 300 days of sunshine a year. Our two ski areas have runs for all abilities and ages. 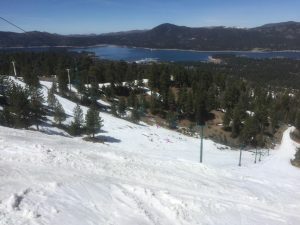 Big Bear offers snowboarding, skiing,snowshoeing, events, great restaurants, a central village and miles of hiking & biking trails. 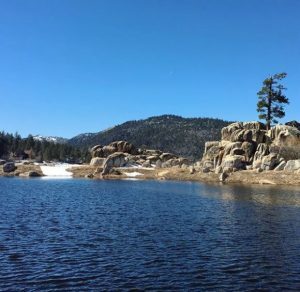 Big Bear is the ideal get-away for visitors from all over Southern California and beyond that want to explore nature and have a unique mountain experience. 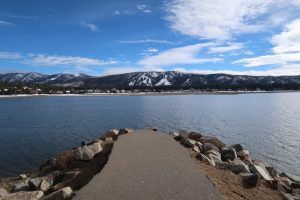 With over 20,000 residents and 1,400 businesses, Big Bear is also a diverse and welcoming community for all, including those looking to retire, or for businesses interested in relocating to attain a better quality of life, away from busy freeways or pollution. Make your life as busy or as quiet as you like. There are over 140 non profit organizations, so take your pick of which ones you would like to be involved with. The Big Bear Chamber of Commerce offers “Second Homeowner” memberships, to help keep you informed and to help you be a part of our community. As the local Chamber of Commerce, we welcome you and invite you to come to the Visitor Center. Staff will ensure you learn what great experiences Big Bear can offer. Whether you are a visitor, resident or second homeowner, we encourage you to utilize this website to explore what Big Bear has to offer.